Disclaimer: I am a recovering newspaper photographer. I can't remember what step I'm on right now but I can tell you that all through my career, shooting photos of balloons was something to be avoided. It was the quintessential Kodak moment, se we in the press naturally avoided it. I remember there was something of a balloon festival in my town of Knoxville back in the 90's and that I "had" to cover it. I wasn't happy. First, "The Balloon Fiesta," as it is known throughout the world, might be better named, "the Balloon Fiesta Siesta," because if you cover this thing day after day, you have to sleep during the day. The mornings come early at 4 a.m. and out of the hotel at 4:30 a.m. to arrive long before first light. Sony α9. 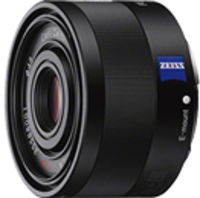 Sony 12-24mm f/4 G lens. Chapstick: It's DRY and WINDY, so keep your lips ready for your honey rather than cracking. Water bottle: You need to keep hydrating in the desert climate. Gore-tex Shell: The wind will get you! Bring warm clothes that you can peel off in layers. LED flashlight so you can see what you're doing and where you are going. Photo-style backpack so you can keep everything you need in one place. Cash: Most vendors only accept the green, and many restaurants in New Mexico won't accept plastic. By far, the lenses I most used were the 12-24mm and 100-400mm with a little fill-in with the 24-70mm and 35mm prime. So, what kind of images can you make out there? Well, shooting the festival is a process that coincides, obviously and directly, with the balloonists. When you first arrive, you bundle up and try to find coffee, or, in my case, hot chocolate. It's often windy and cold. You make your way out onto the massive field and try to figure out which way the wind is blowing. Once you figure that out, what I did was line up photo possibilities so that I'd have the maximum sky filled with balloons rising into the background of the direction in which I wanted to shoot. Then, I assessed each balloon as it was laid out on the big tarps to figure out which ones were the most colorful and might offer the best "glow" photographs. I would narrow that down to a couple balloons and then I would approach the leader (easy to spot in their spiffy jackets and multiple event pins) and introduce myself. You have to do this early when they are still hanging around and before they move the gondolas close to the balloon. Once they hook up the fans to begin filling them, it's too late to try to talk to them as it's all business. I would politely ask to be able to enter the balloon when they go inside to straighten the cables and ropes. After two tries, I got a "sure, no problem... just stay close by me." My first entry inside a balloon was with a nice guy from Colorado named Mark Whiting. Mark's balloon is called "Big Top," and I could tell it was special even before I met Mark or spoke with him. Mark's "Big Top" is a hand-painted balloon just like they were back in the 1800's. It's a really tastefully done balloon that harkens back to the last century when carnival graphics were not really considered "art." Now that most of the artists that could make that magic are too old to paint or are long dead, "Big Top" remains a unique balloon and it stands out among the hundreds of other balloons even with 400-500 of them in the air. "Big Top" was made by Mark's balloonist mentor, Chauncey, who taught Mark everything he knows about flying. Chauncey died a few years back so each time Mark flies "Big Top," it's obvious there is more going on in Mark's heart as each move he makes in preparation brings back memories of flying with his friend. I did exactly what he told me to do and even tried to help when unskilled hands were of some use. After the fans had been running for a while and the propane was checked, and the balloon was cabled to the Gondola, Mark straightened up and looked around for me. I was right there. He motioned for me to follow him. We walked around to what would become the fattest section of the balloon, and he picked up the edge and began walking underneath the folds. I followed along behind him trying to keep up. When we were under the center, he found the seam and we walked inside the center of the balloon from underneath. The point of this paragraph is that making photographs involves more than just showing up and pointing a camera – it involves negotiating for access, on every assignment. To get closer is always the plan, the mission and the object of photojournalism. Good photographers meet people and really listen as they jockey for the angle and the access to capture the image. For me, the following image was the end culmination of that enterprise with Mark. I can't overemphasize this simple fact: Access = photographs. And to get access, be respectful and be ready to make friends. As soon as the balloons ascend, you kind of have to change your approach. I shot almost every frame last week with the 12-24mm G when I was able to get up close and right next to the balloons and their pilots, but once they were in the air my priorities shifted. Sony α9. Sony 100-400mm f/4.5-5.6 G Master lens. It seems like every shot you make looking up from the ground at the balloons in the air looks the same. At this point, the telephoto becomes a more interesting way to work. You watch things unfold and pay attention to where the moon is, if there will be a shadow moving across the surface of a balloon in flight, and try to figure out the timing of all this. When you consider these things are carried by the wind and have no directional control, I was personally shocked at how busy things get once the mass ascension is under way. Things move REALLY fast and I wished that I had my second body with me during the best light of each day. When there are literally hundreds of balloons in the air at the same time with more ascending all the time, you have to have eyes in the back of your head to keep track of it all. There are literally hundreds of images to make but in a very short period of time. The NatGeo "magic hour" of light at sunrise and sunset assumes a big sky with no trees. In reality, the magic light of the Balloon Fiesta lasts for maybe 20 minutes tops, and then the warmth begins to drain from the sky as the sun rises above the mountain peaks to the East. The frame above is one I am probably most proud of from that second morning on Sunday. I watched the balloon with the State Flag of new Mexico begin to ascend and tried to predict its path, when I saw another balloon ascending even quicker. I only made a few frames of this but the one above and the one below were definitely my favorites. The one above is super clean, uncomplicated and reads really fast. The one below, taken maybe a second later, is busier but shows more balloons in the air in the background so there is no mistake about the event. Which do you like best? It's a tough call. The fact that the festival was so close to the full moon was simply an added bonus this year. I have dozens of good frames like this to choose from. All in all, once I got to experience my first ever "mass ascension," my cranky old curmudgeon perspective from my press corps days fell away. The experience of dawn surrounded by the beauty of the Albuquerque mountains and a big Western sky just seduced me. Those massive balloons rising toward the heavens just takes your breath away. More than once, I found myself not shooting on purpose as I tried to soak it all in and remember those fleeting moments for days in my future when I will look back on all I have experienced from an armchair. There is good reason that the Balloon Festival is on so many peoples' bucket list. I get it now. Many thanks to Sony for sending me to the Balloon Fiesta as a guest of Bedford Camera. Our group of 30 photographers had a fantastic time together and really bonded though the week we were there. I will always look fondly on my first trip to ABQ for THE Balloon Festival. Many thanks in particular to my Sony family that were along for the ride, to Udo John Bruel, Chris Margaitus, and Jimmy Ton. You guys make it all look so easy! 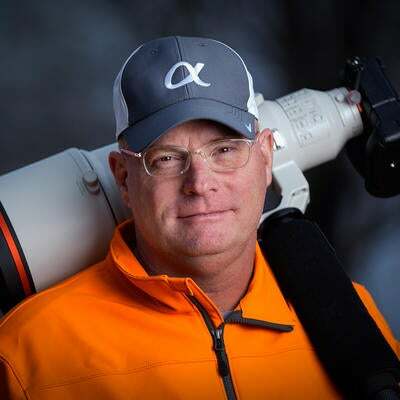 Patrick Murphy-Racey is a Sony Artisan Of Imagery. See more about him here. Check out his blog here. Follow him on Instagram @murphyracey. Is Shooting with the Sony α9 Cheating?